LG introduce the Ultra Slim mobile phone MG810. With 14.6mm, it is just right on par with Motorola v3, but still not as slim as VKMobile slim series. 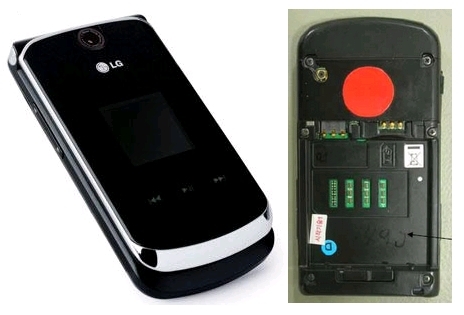 LG MG810 will be available for US and it works in GSM 850/1900/1800 MHz. The phone features a 1.3 megapixel camera, Bluetooth and music player.LG MG810 has a unique keypad on the front LCD. The buttons are said to be only responding to your finger touch and will not be activated when you slip the phone into your pockets. This will protect you from draining the battery accidentally. The phone will be available in less than 6 months.